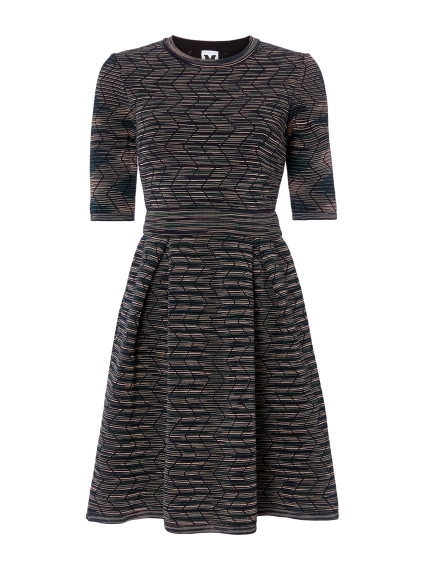 M Missoni's distinctive style and penchant for lightweight, textured knits are evident in this fit-and-flare dress. The classic silhouette is realised with an all-over textured weave in a geometric design. Pair yours with trainers or flats by day or dress up with heels for events.